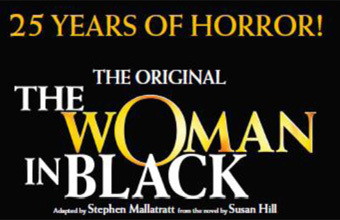 The unanimously acclaimed, The Woman in Black, celebrates its 10,000th performance on Friday 13th December. This thrilling show combines the power and intensity of live theatre with a cinematic quality inspired by the world of film noir. It gives audiences an evening of unremitting drama as they are transported into a terrifying and ghostly world.